Hello and welcome to my webpage! I'm a professor researching theoretical astrophysics at the California Institute of Technology. Most of my research focuses on the physics of vibrating fluid spheres. Although this sounds esoteric, the applications within astronomy are nearly limitless! 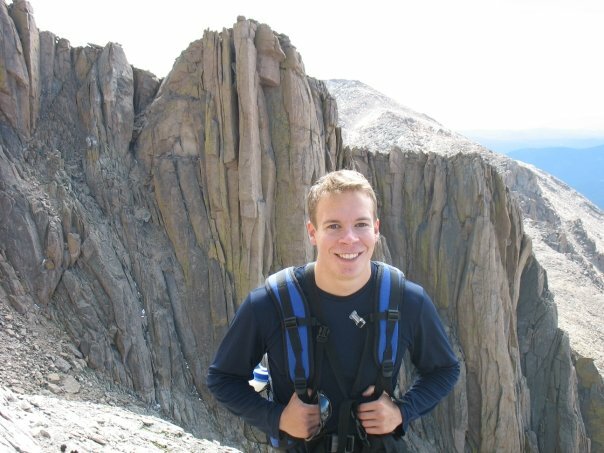 As a graduate student, I studied tidal interactions in merging white dwarf systems, heartbeat stars (oscillating stars in eccentric binary systems), and compact triple star systems. More recently, I have studied magnetic fields inside of red giants, the deep interior of Saturn as revealed by its rings, and the long term evolution evolution of Saturn's moons. The transport of angular momentum inside of stars and the resulting spin rates of white dwarfs, neutron stars, and black holes. The occurrence and appearance of pre-supernova outbursts in massive stars, and their effect on subsequent supernovae. The orbital migration of exoplanets tidally interacting with their host stars. Read more about my research below! Some of my recent research topics are listed below. Click on the images to read more on my research page! 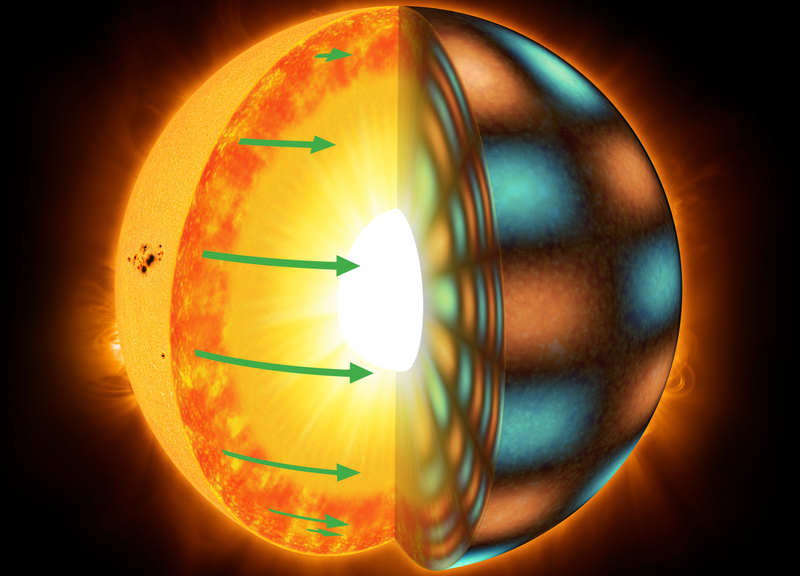 As the cores of stars contract during their lifetime, the inner layers may begin to rotate faster than the outer layers, with crucial consequences for the spins of neutron stars and black holes. I've been studying the processes in stars that redistribute angular momentum to determine the birth spin rates of compact objects. 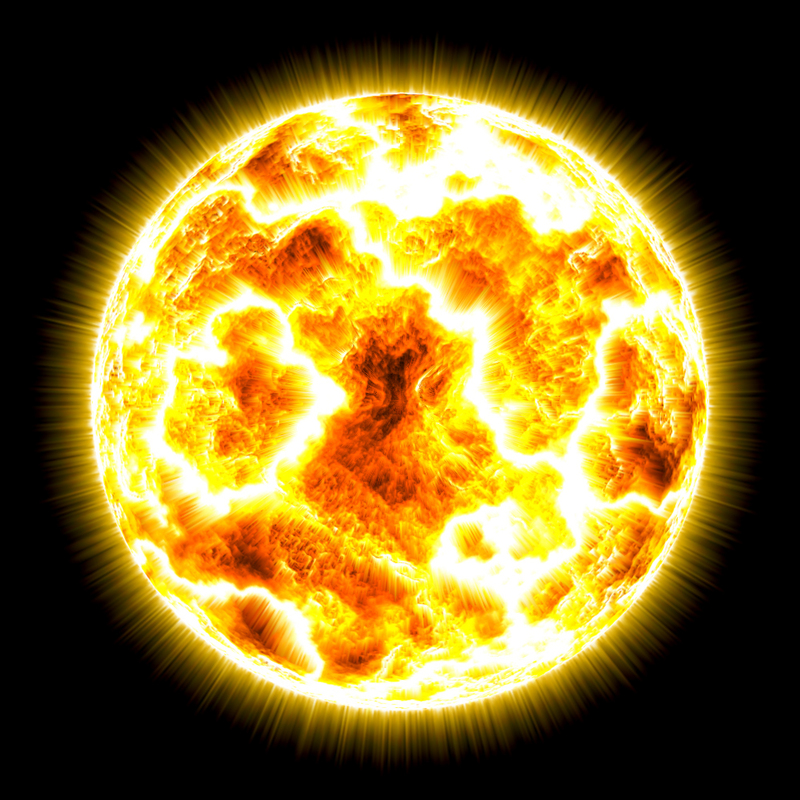 Stars more than ten times the mass of the Sun explode as supernovae when they end their lives. My research suggests that some of these stars may undergo violent outbursts in the last several years of their lives, giving us a warning sign that they are about to explode. If we can identify these warning signs, we will be able to observe supernovae in much greater detail. 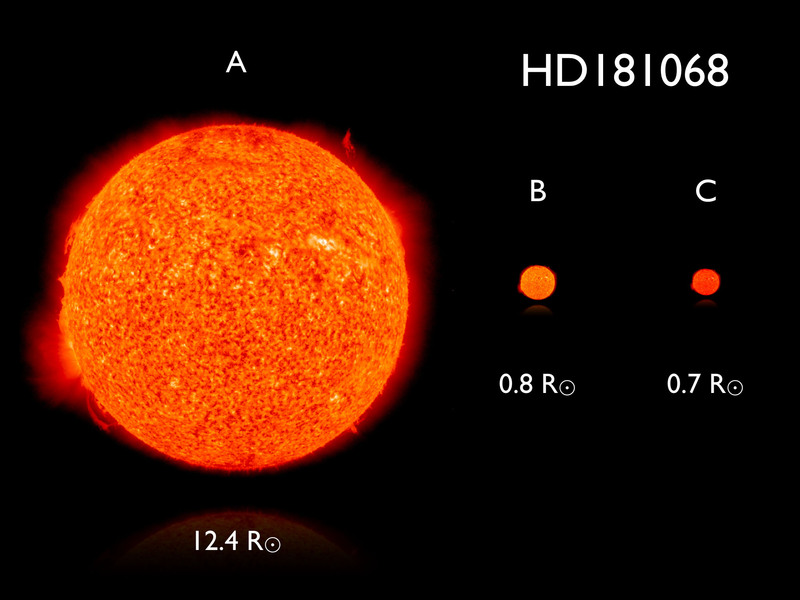 Click Here for Interactive Model of KIC 8164262!!! 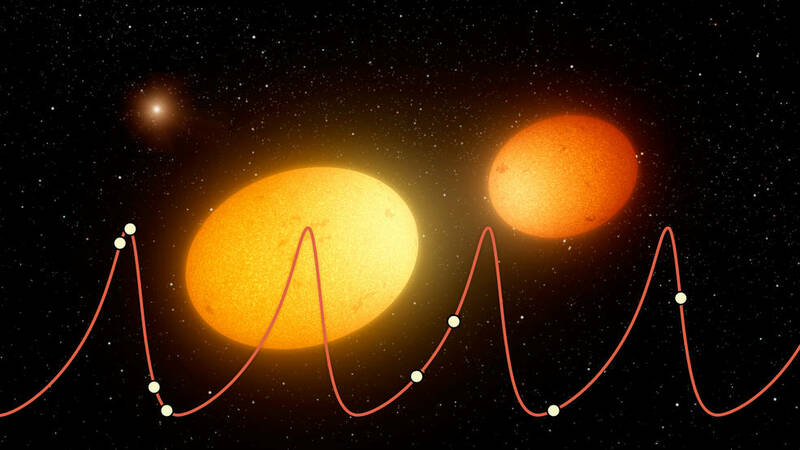 Heartbeat are eccentric short-period binary stars. The characteristic "heartbeat'' signal (resembling an EKG diagram) in their light curves is produced by a combination of tidal distortion, reflection, and Doppler boosting near orbital periastron. Hearbeat stars are a great chance to directly observe tidal effects in action! 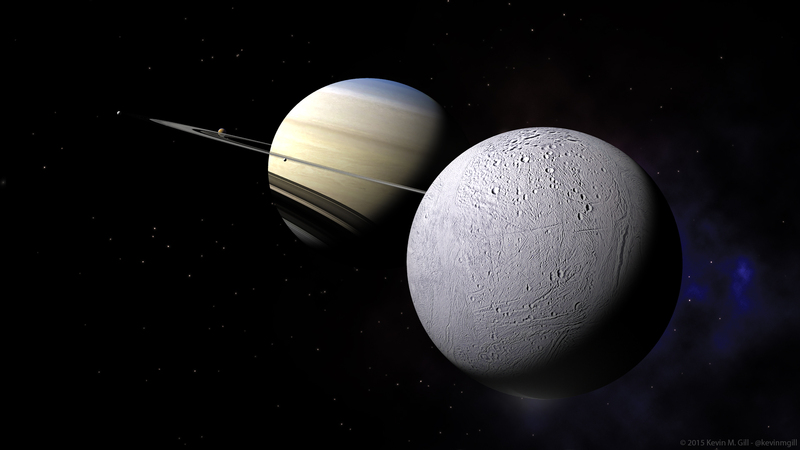 Jupiter and Saturn's rapid rotation slowly pushes their moons outward via tidal effects, which also leads to tidal heating of the moons. Recent measurements indicate the moons migrate faster and are heated more than expected, which may be explained by a process called resonance locking. Asteroseismology allows us to peer into the hearts of stars, often yielding surprises! 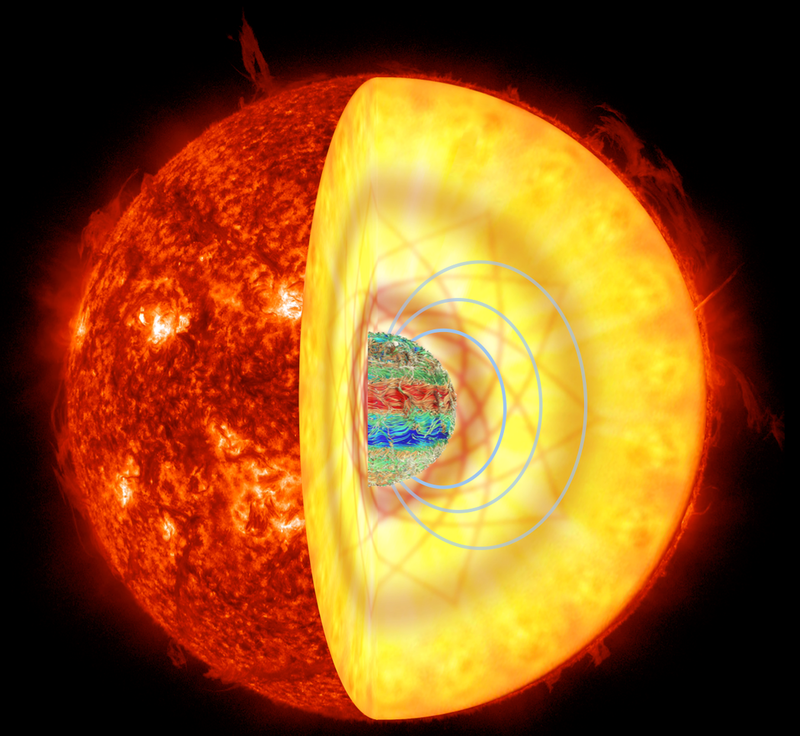 In red giant stars, we have learned how to detect powerful magnetic fields buried within the stars' central cores, providing the first ever measurements of magnetic fields in the deep interiors of stars. 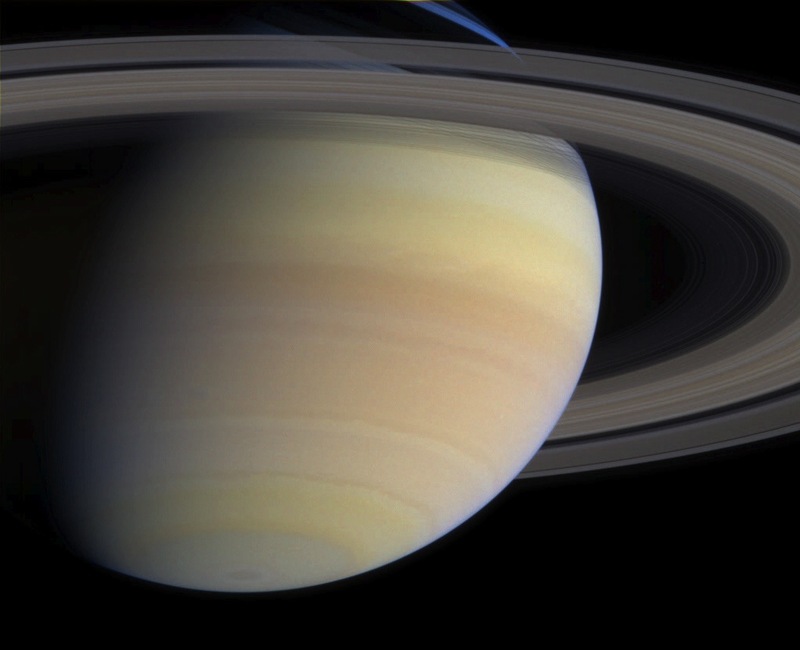 What is inside of Saturn? We don't know! But there are some clues are hidden within Saturn's rings. The rings can be used as a seismograph, allowing us to detect "Saturn quakes", which can help us learn what lies deep within the planet's interior. The initial spin period of a pulsar is determined by the massive star which spawned it during a core-collapse supernova. 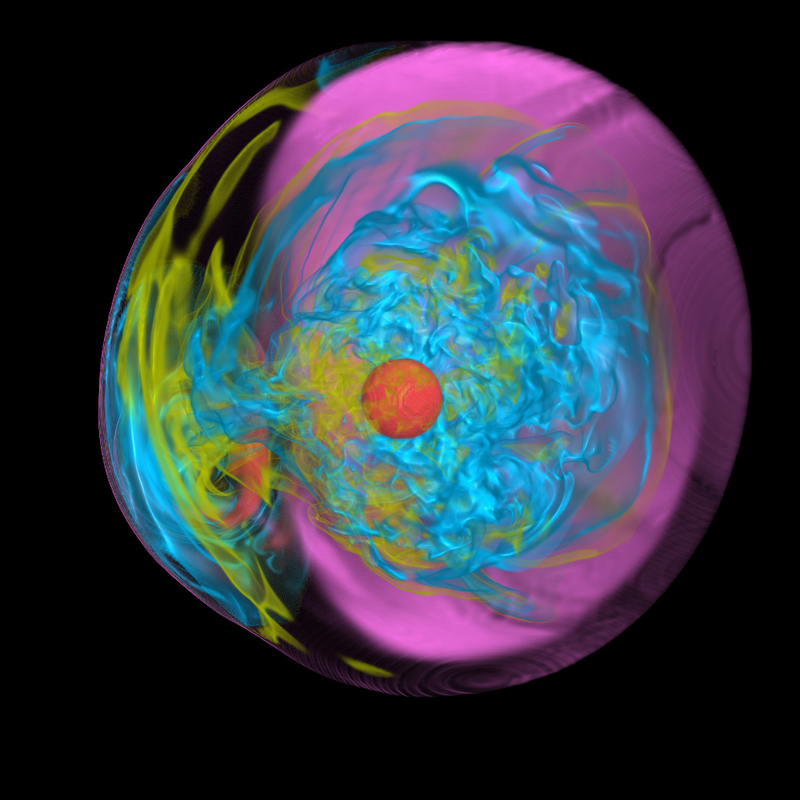 Waves created by vigorous nuclear fusion in the last hours of the star's life may be crucial in determining how fast the neutron star progeny spins when it is born. 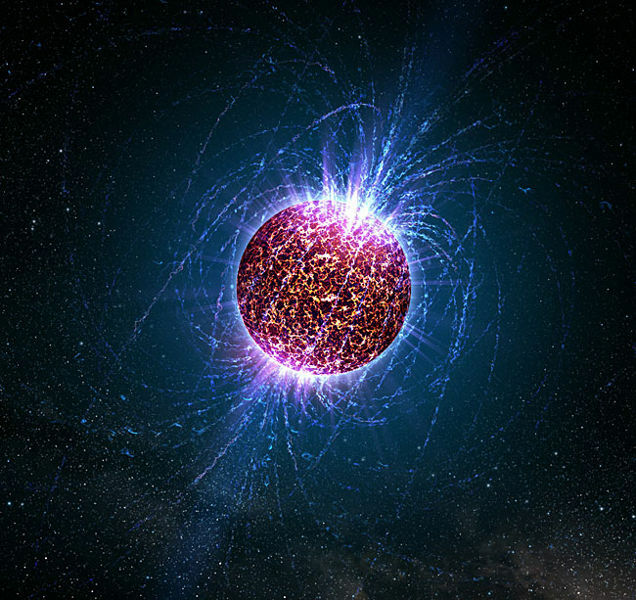 Neutron Stars are so dense that they may be able to capture dark matter particles, which sink to the center of the neutron star until they form a black hole which devours the neutron star. Although this process may not occur in nature, it could explain some very peculiar observations, including the lack of pulsars near the galactic center and the generation of fast radio bursts. 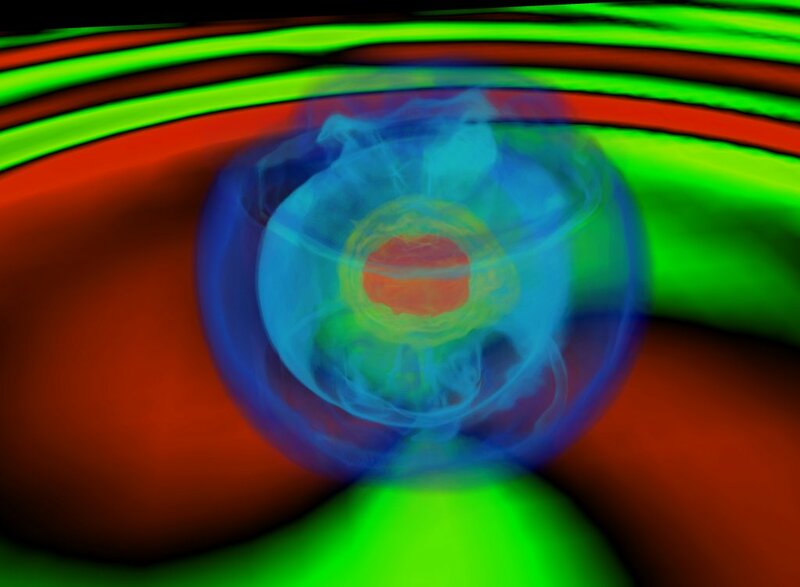 Core-collapse supernovae are violent events that give birth to neutron stars and black holes. If the core of the massive star is rapidly rotating, the collapse generates powerful gravitational waves, which could be used to peer into the heart of the supernova. The plasma within stars is not stationary: it is constantly in motion due to convection within the star. Even in regions that are not convective, internal gravity waves are abundant, and cause the star to constantly vibrate. These waves also carry angular momentum, and may be very important for determining the internal rotation rates of certain types of stars. 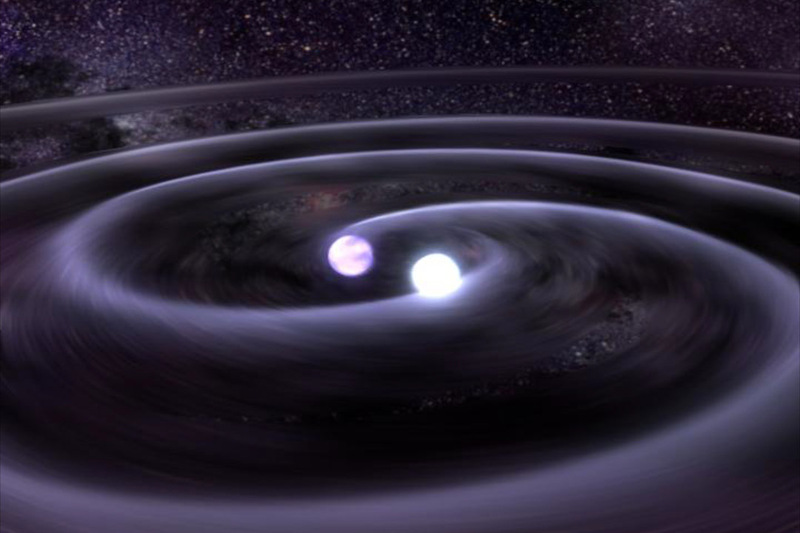 White dwarfs with short orbital periods will emit gravitational waves, causing the orbit to decay until the white dwarfs merge. I study the interactions between the stars before they merge. What happens after the white dwarfs merge? A type Ia supernova? A helium burning supergiant? A heavier white dwarf? Take your pick! In close triple star systems, the stars can interact in unexpected ways. One compact triple system imaged by the Kepler satellite has shown that the motions of a pair of stars can excite oscillations within a close third star. 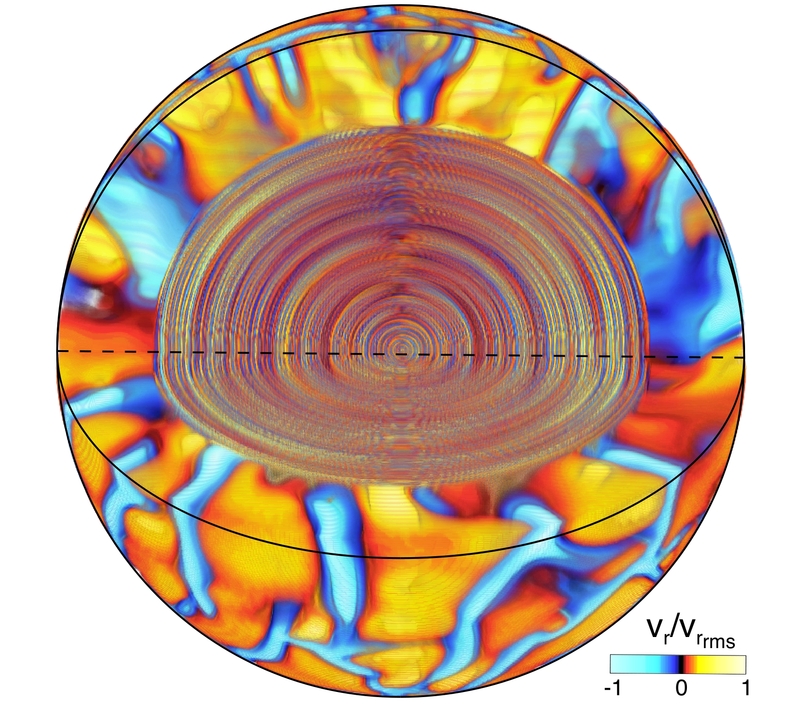 These oscillations may alter how close triple systems evolve.